Attending classes in Wyoming can give you the chance to become a nursing assistant if you are able to complete the training and pass the license exams successfully. The work of certified nursing assistants is essential to the day to day activities of nurses and physicians as well as to the patient’s themselves. They provide the necessary work and even comfort to patients who are otherwise not able to take care of themselves. The number of patients continues to grow each year, so it is not surprising that the demand for workers in this profession is continually increasing. A nursing assistant’s work is very much in demand nowadays due to the number of patients who enter long-term care facilities and nursing homes. improvements are now being made in the field of medicine which allows more and more people to live up to their ripe old age. This situation creates a demand for assistance in the day to day activities of such people which is now becoming more and more common in practice. Nursing assistants are the ones who provide such services which include bathing, grooming, feeding, and answering their concerns. Nursing assistants also document their patient’s vital signs such as heart and respiratory rate as well as body temperature and report that to their supervisors. Nursing assistant school training programs are available which can aide you to gain the certification in the state of Wyoming. There are various training programs which offer classroom and clinical hours of training which are required by the state and federal regulations. Seek a program which has been approved by the Wyoming State Board of Nursing and the Healthcare Licensing and Surveys Division. You can read more about the different requirements to receive a nursing assistant certification in Wyoming from this link. Nurse aide training programs in the state of Wyoming provide the skills and knowledge which is needed for CNA work in different healthcare settings. Subjects that are tackled in the training are infection control, emergency procedures, ambulation, taking of vital signs, medical terminology, anatomy, physiology, nutrition, feeding, transfer of patients, and resident rights and independence. Schools and healthcare facilities that offer nurse aide training in Wyoming are the Laramie County Community College and Casper College H. E. Stuckenhoff Department of Nursing. The courses offer 90 and 100 hours of training which will include both classroom and clinical sessions in a licensed nursing facility. The tuition costs would vary from $350 to $800 with additional fees for the TB test, uniforms, CPR verification, textbooks, and the criminal background check. The average annual salary for a nursing assistant in Wyoming is about $16,000 and these may differ depending on your location, your employer, and the duration of your work experience as a nursing aide. 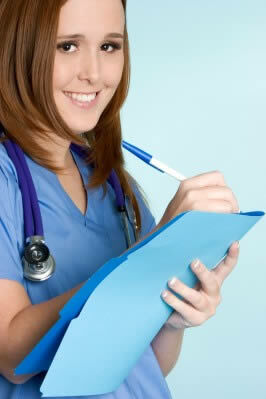 Once you graduate from the CNA training program, you can then apply for the state certification exams which cost $90. The test has both a skills demonstration test as well as a written or oral test. You need to pass both of these tests separately if you are to get a certification. Aside from this, the Wyoming State Board of Nursing also requires a criminal and drug background check from the applicant. Any disqualifying offense would prevent one from being entered into the Nurse Aide Registry.